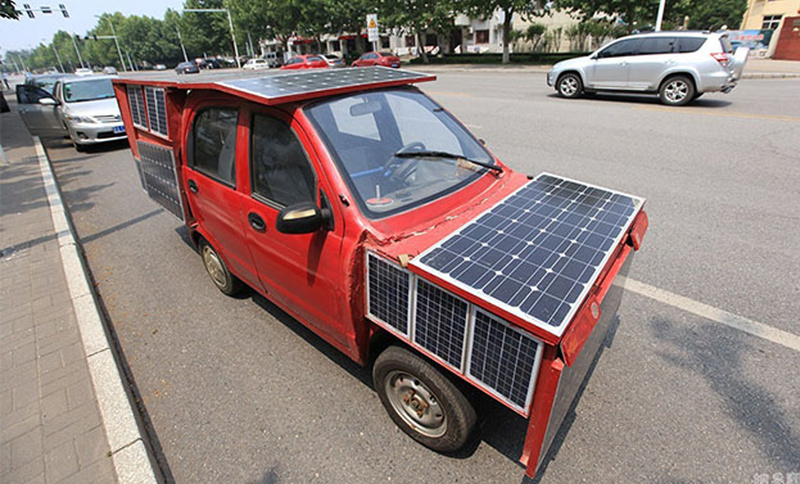 DIY Solar Powered Car in China - Hey, whatever works, right? This can't be street legal. 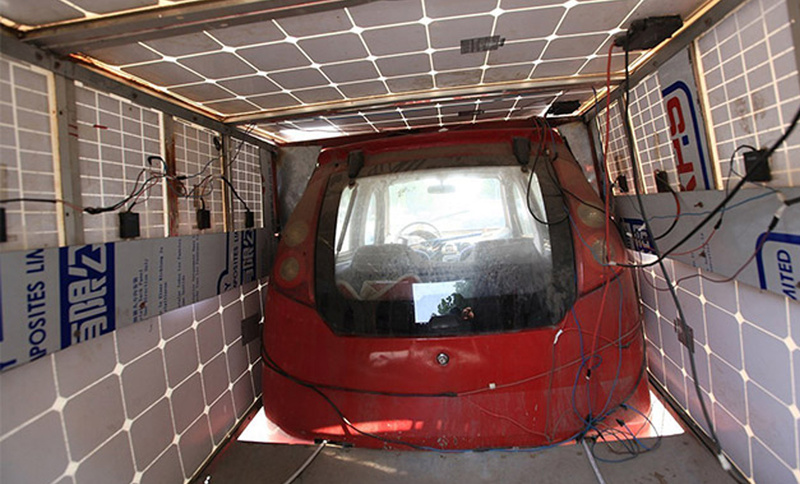 The exact range of the vehicle isn't known other than "it can move when sufficiently charged when parking in the sun"
Without too much attention to detail and mounting the panels in an aesthetic way, the hacker seems to have been able to achieve his objective: to park his car in the sun and be able to drive it solely on batteries charged by solar panels. 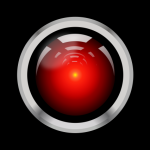 The exact range of the vehicle isn’t known other than “it can move when sufficiently charged when parking in the sun”. 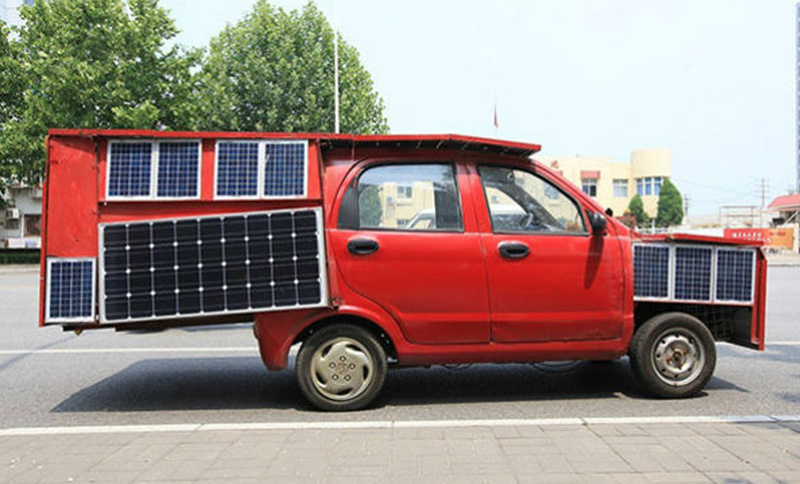 Judging from the photos, there appears to be approximately 1000w – 1500w worth of solar panels mounted on the car.